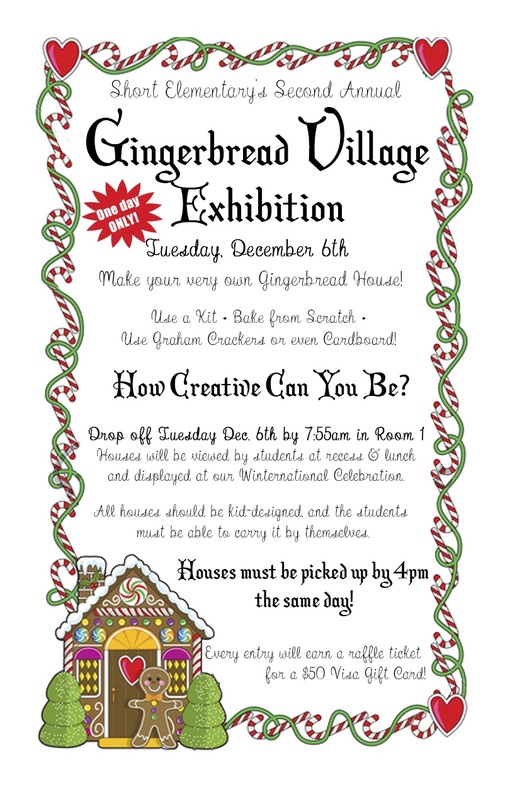 As part of our Winternational Holiday Celebration we will be displaying our second annual Gingerbread Village with student designed STEAM-based Gingerbread Houses. Every student house will earn one entry into the gift card raffle. Houses are to be brought to room 1 the day of the event for student viewing, then they will be exhibited at the Winternational Holiday Celebration and taken home after the event. See the flyer for details.